One of the biggest questions in a divorce involving children is who will get custody. After that is decided, the next question is usually how time and financial support will be divided. Often, the parent who does not have the children the majority of the time will be required to pay child support to the other parent. Arizona has established child support guidelines that the courts use and attorneys use to determine how much must be paid. In some cases, the amount can be adjusted based on extenuating circumstances. That’s why it’s important to work with an experienced child custody lawyer who can help you get the outcome you desire. Other factors can be considered, as well, such as whether the children are involved in extracurricular activities like intensive sports training or competitive dance. Essentially, the courts are looking at what the financial costs are for the needs of the children and what each parent is able to provide. While these factors may all seem pretty clear cut, leading to a firm determination of support, there is plenty of room for dispute, which a family law lawyer can help to resolve. The income of each parent seems like it should be clear. You look at the W-2 or pay stub and find out what the monthly gross income is. What could be in dispute? Well, what about when a parent is unemployed? Is the income marked zero and that’s that? What about when a parent gets paid bonuses? Should these be included in the income calculations? These are the kinds of questions that a child custody lawyer can help you answer. If you are trying to get more child support, your family law lawyer can argue in your favor. If you are trying to reduce your responsibility, your lawyer can argue in the alternative. For example, take the unemployed parent. Some people are unemployed by choice – sometimes as a way to avoid paying child support. In such cases, a judge can decide to calculate income based on that person’s earnings potential rather than actual earnings. Or if a parent is self-employed, the profits can be manipulated by failing to deposit cash payments, failing to report work for barter, or overinflating deductions. Your attorney can help you get the child support you deserve by working with a financial analyst or a financial forensic investigator to uncover these manipulative tactics and make a strong argument for true income. There is also potential for the judge to interpret the needs of the children differently. We see this intuitively with celebrity cases where tens of thousands are paid in child support each month to maintain the quality of life to which the child had become accustomed. You’re probably not a celebrity, but there may be many ways that a judge can interpret the needs of the children differently. You may discover that your child has a learning disorder, so you petition the court for more child support to hire a tutor or other specialist. Or your child may decide that it’s her life’s dream to be a professional flautist, and you petition for more support to afford the best lessons and coaches. It’s important that you always work with an experienced Mesa child custody lawyer to either get a new child support order or to modify an existing order. Your attorney will understand how the courts can interpret these issues differently and can help make the strongest case on behalf of your interests. My AZ Lawyers can help you if you are trying to get a child support order in Arizona. An Arizona family law lawyer from our team will analyze every detail of your case to find opportunities to argue for an increase in support so that you have the means to support your family without worry. 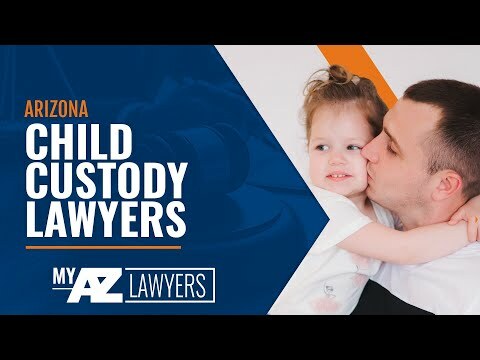 Our attorneys understand that though Arizona has child support guidelines, much of those guidelines are open to interpretation, and we have the skills and experience to build a strong case for the interpretation most favorable to you. Call us in Arizona today to talk with a child custody lawyer who is ready to fight for your family.